Every year articles are written about tactics to employ and take advantage of before year-end to save on taxes. However, the year 2017 is unique in that tax reform is being proposed right now…and will possibly be passed before the end of the year. The proposed tax plan recently released has a host of changes that, of course, makes some happy and others irate. As characteristic of proposed legislation, the initial release is just that: a starting point for discussion and debate. The final law, if it were to pass, will undergo changes both overtly and covertly via horse-trading in backroom deals and compromise. Given the uncertainty of tax reform, staying the course of conventional actions should be continued, at least for 2017. The prevailing strategy remains to defer income until next year but accelerate deductions into the current year. This may or may not be possible depending on your business structure of taxation. Tax planning should always remain mindful of not triggering the Alternative Minimum Tax (AMT). Tax loss harvesting against investment gains allows for a dollar-for-dollar and a $3,000 taxable income write-off with the remaining loss carried over to the next year. Gifting up to $14,000 per individual is excluded from the lifetime gift amount and is tax-free. 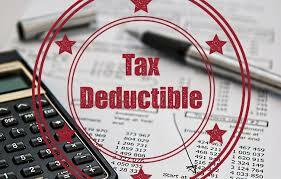 If itemizing charitable deductions, have appropriate receipts for items donated with appropriate appraisals. 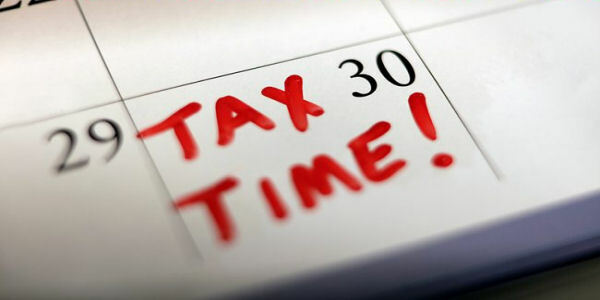 Make sure tax withholding amounts are correct and timely pay quarterly tax due amounts to avoid penalties and fees. To avoid the 3.8% Medicare tax on some business income, document actual time worked vs. it being deemed passive participation. Maximize contributions to a 401(k) and other retirement plans, but be mindful of limits to each and sometimes in combination with different plans. If taking required minimum distributions (RMD) from any plans, avoid the 50% excise tax by taking the correct required amount. If a flexible spending account is used, make sure to use available dollars or lose them (unless the plan allows for first-quarter filing in the next year for the previous year’s allowable expenses). Credits are subtracted from any tax owed and can be refundable or non-refundable. Tax credits are available for an individual or business use but should be carefully reviewed for appropriate eligibility. Tax deductions are subtracted from income before the tax due is computed. Notwithstanding the proposed tax overhaul legislation, there are tax changes already approved for 2018. Obviously, these changes might be negated if the proposed legislation is signed into law. The standard deduction will be increased and so will the personal exemption. However, personal exemption phase-outs are triggered when reaching certain adjusted gross income (AGI) levels. The AMT exemption amount also has been increased, but is still subject to implementation at certain phase-out limits. The year 2018 will limit certain itemized deductions, i.e., property tax deductions, if exceeding AGI thresholds. The estate tax exemption amount will increase to $5.6 million. Annual tax-free gift giving will increase to $15,000. Qualified retirement plan contributions, i.e. 401(k), 403b, 457, etc., will rise to $18,500 with a $6,000 catch-up if someone is over age 50. IRA contributions will remain at $5,500 with a $1,000 catch-up if someone is over age 50. If the new tax legislation is enacted, taxpayers will win, lose or be neutral on the effect of respective tax costs. Unfortunately, the proposed law seems to penalize those living in states paying higher taxes, both state and property. Housing prices and expenses in these same states may be greater when compared to other states. This situation potentially can have an adverse effect on the purchase, sale or financing of property, especially with proposed elimination and curtailment of current allowances. It is imperative that taxpayers living in these states be proactive and knowledgeable in charting their future course. The bottom-line changes will certainly impact taxpayers, no matter where they live. Tax planning can be a convoluted, challenging and frustrating endeavor. Just when you think you have it mastered, legislation and the stroke of the presidential pen can usurp the known into the unknown. These new challenges, and the required time for understanding and feeling competent to traverse the new rules and regulations, can be disconcerting. Consulting a financial planning professional can help you navigate the best course of action. Realistically, it’s not what you earn…but what you ultimately get to keep.